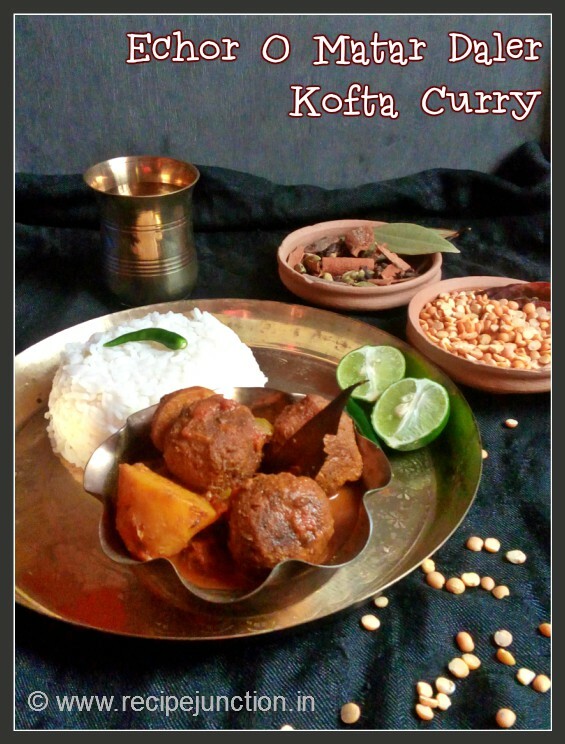 Poila Boisakh or the first day of Bengali New year is just a day away. Bengalis are now busy cleaning up their houses, kitchen, almost every nook and corner of the house to welcome the new year. It's a community tradition as cleanliness not only brings wealth and prosperity but also it is needed to maintain good health. Exchanging new clothes is another tradition of Poila Baishakh celebration in Bengal. 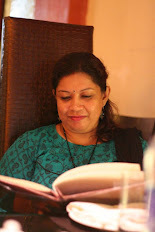 And what a celebration without meeting relatives and friends over good food and chit-chat. Bengalis are no way less on this matter, so cooking old traditional Bengali dishes is another most important job mothers and grandmothers do on this day. After bathing and wearing a new dress, mothers get busy whipping up an array of traditional delicacies and serve family members on the table to enjoy, sometimes relatives and friends are also invited to celebrate the occassion together with full zest and excitement. 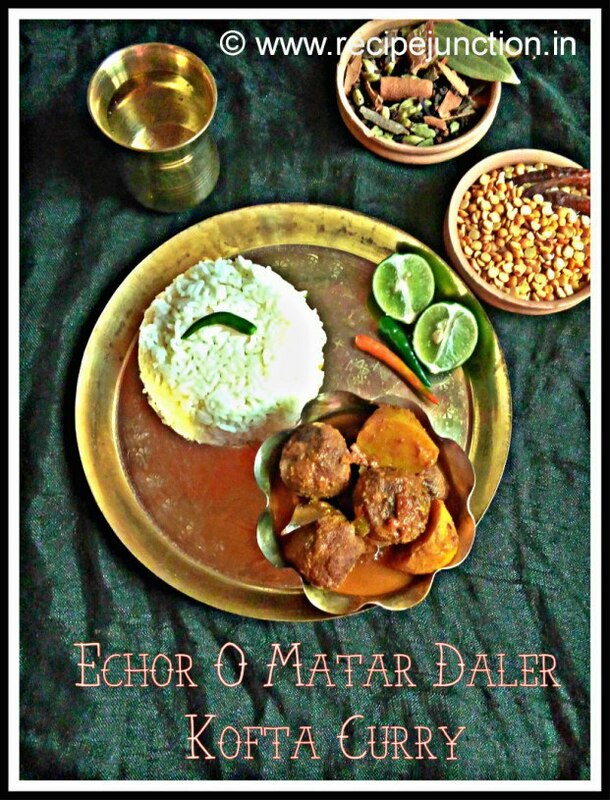 Just like every year, this year too I will share a traditional Bengali Delicacy for the occasion. This is an almost forgotten recipe, which my mother and grandmother used to whip up often on special occasions but nowadays my mother also doesn't cook this dish so often. 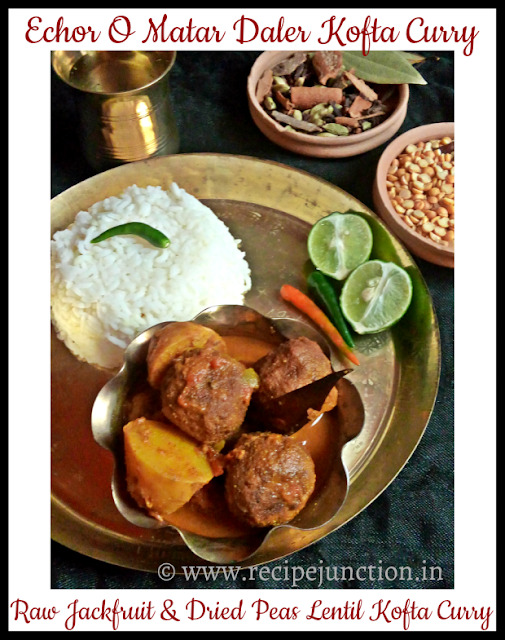 But few days back when me and my mom were discussing about what special dishes we should prepare on that day, she reminded me of this recipe and I was sure I want to share this recipe with you all on this special occasion. I gathered all the ingredients ASAP and cooked up the dish yesterday and all my family members have liked the dish very much and asked me to share here. Green chilli paste : 1 tsp. Preparation : 1) Soak lentil overnight in water, next day just grind into a fine paste in blender, do not add much water while grinding. 2) Take raw baby jackfruits, cut them into cubes and boil in pressure cooker for 2-3 whistles. It should be just cooked, not overcooked. 3) Boil the potatoes till tender and keep aside. Making Koftas : In a bowl, take mashed jachfruits, grinded lentil paste, ginger-green chilli paste, turmeric, cumin, coriander powder, salt and sugar. Mash everything well. The paste shouldn't be too tight or too loose. Do not add any water in the paste. If you feel the paste is too loose or watery, add little gram flour in the paste, it will absorb all the moisture from the koftas. 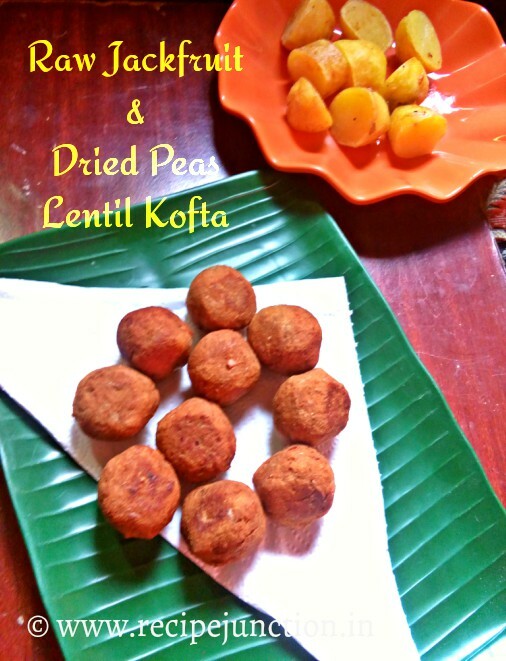 Make round koftas from the mix. Frying Koftas : Heat enough oil to deep fry the koftas from all sides till golden brown. Remove from oil when dine, drain on paper towel and keep aside. Do not overcrowd the pan while frying. Fry in medium heat so that koftas doesn't burn or cook too fast. In the same oil fry boiled potatoes till golden brown and keep aside. Making Gravy : Heat 1 tblsp. oil in a pan, temper with cardamom, cinnamon, cloves, bay leaves and cumin seeds. When seeds crackle, add chopped tomatoes. When tomatoes are soft and mushy, add all the spice powders and ginger paste. Add little water if needed and cook the masala well for couple of minutes, then add boiled potatoes and fried koftas in the masala. Add 1 cup of water in the pan, season with salt and in medium heat let it cook, covered with a lid. When gravy thickens a bit, add 1 tsp. ghee from the top and sprinkle a good pinch of garam masala powder in the curry. Mix and cook for another 2-3 minutes and remove from heat. Your kofta curry is ready to serve. Hope you all will try this unique blend of ingredients and flavours in your kitchen and give me the feedback. The day we, Bnegalis celebrate our new year, there are many states in India, who also celebrates New Year, too. So wishing a very happy new year or NABABARSHA to everyone who are celebrating. Hope this new year bring new hope, new excitement and new perspective to cherish our lives with all the positivity. Keep Cooking, Keep eating good food and keep sharing with your loved ones.